Designed specifically for the Nikon DX lens mount, the new Nikon 55-200mm f/4-5.6G ED VR II is compatible with Nikon DSLRs featuring an APS-C sensor such as the new Nikon D5500 but not full frame models like the Nikon D750. Intended as a second lens solution for beginner or improving photographers, the 55-200mm is ideal to accompany the 18-55mm kit lens and offers a lot of reach in a small and compact unit. With an equivalent focal length of 82.5-300mm, taking into account the 1.5x ‘crop factor’, the new Nikon 55-200mm f/4-5.6 ED VR II will allow enthusiasts to get much closer to the action. Updated from the older 55-200mm f/4-5.6G ED version, this latest incarnation boasts Nikon Vibration Reduction (VR) technology and will sit alongside the existing AF-S DX VR 55-200mm f/4-5.6G IF-ED in Nikon’s DX telephoto zoom line-up. Despite offering the same focal length, maximum apertures and similar features, the difference between these two lenses is that this latest version is slightly lighter and more compact. That’s down to the fact the older AF-S DX VR 55-200mm f/4-5.6G IF-ED version offers an Internal Focusing (IF) system, which means the front element doesn’t rotate whilst focusing. The new lens doesn’t offer IF, which isn’t going to make much difference to the target audience but does make the new lens a little shorter at 83mm compared to 99.5mm, which should appeal more. The addition of Vibration Reduction is key too, allowing photographers to zoom right in to 200mm and use relatively slow shutter speeds whilst handholding the camera without the resulting images suffering from camera shake. 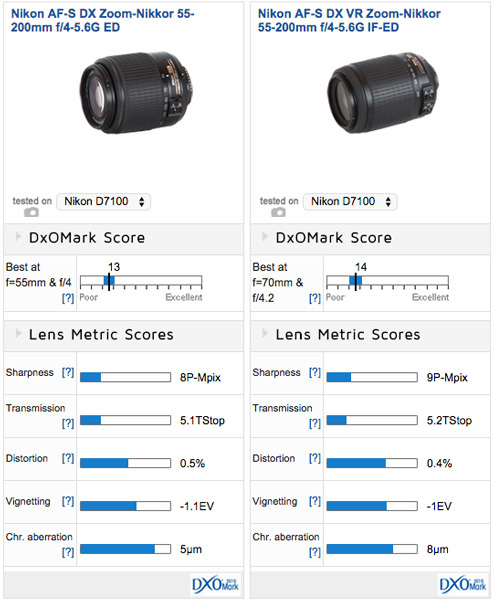 Optical construction on the new Nikon 55-200mmG ED VR II sees 13 elements in 9 groups including a Nikon ED lens element to help improve contrast and there’s also Nikon’s Silent Wave Motor (SWM) included for quick and quiet autofocus. 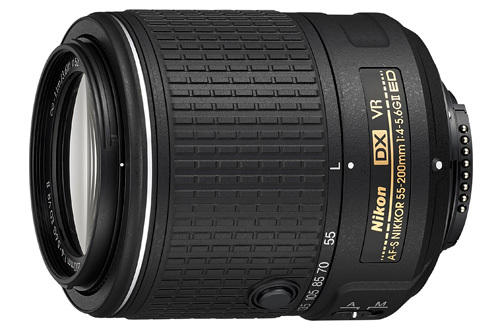 The new Nikon 55-200mm f/4-5.6G ED VR II lens will be available from the 5th February 2015 priced around ¢349. The new AF-S 55-200mm f4-5.6G ED VR II replaces the existing AF-S 55-200mm f/4-5.6G ED version (left) and includes Nikon Vibration Reduction (VR) technology.